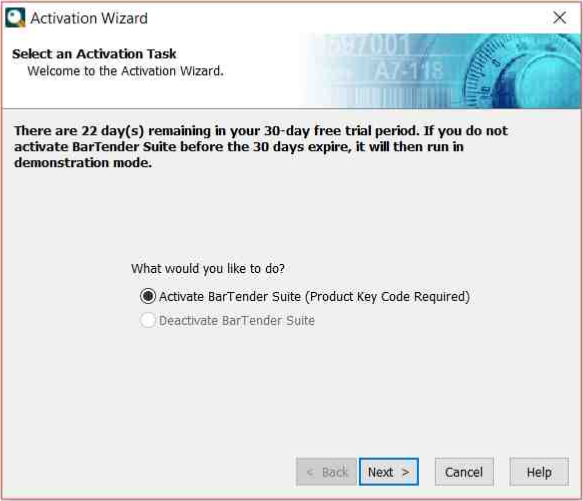 This Instruction Article explains how to activate a license for a BarTender client. 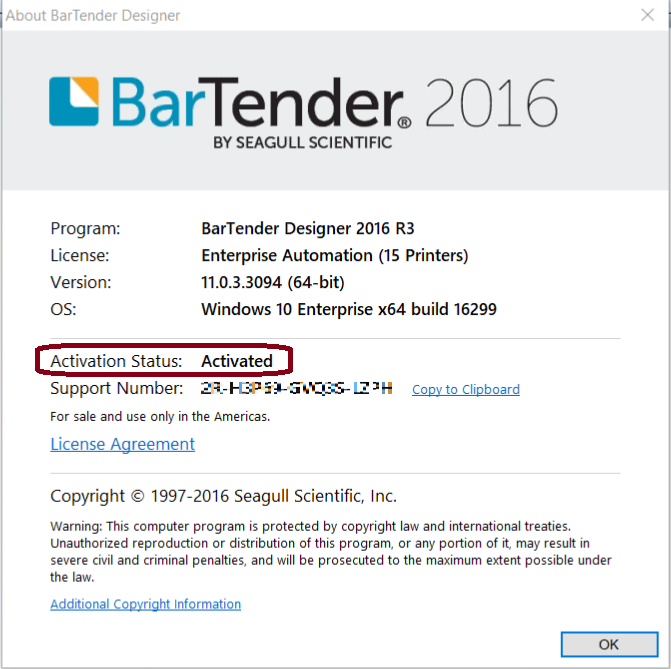 Important Note: For an Enterprise Automation BarTender client to complete activation, the Seagull License Server must be installed and activated on a server or PC that is accessible on the same LAN as the client workstation. 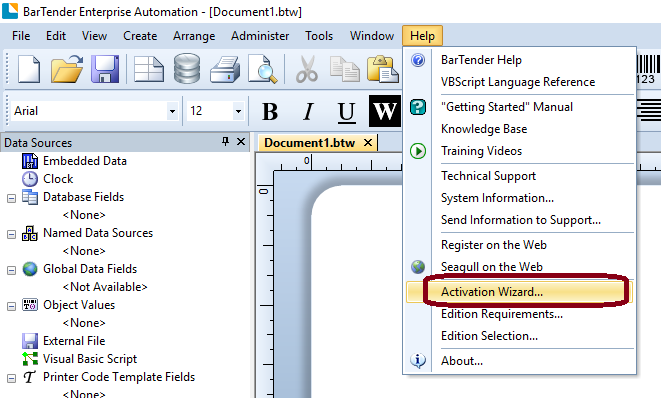 Select Activation Wizard… option in the Help menu. 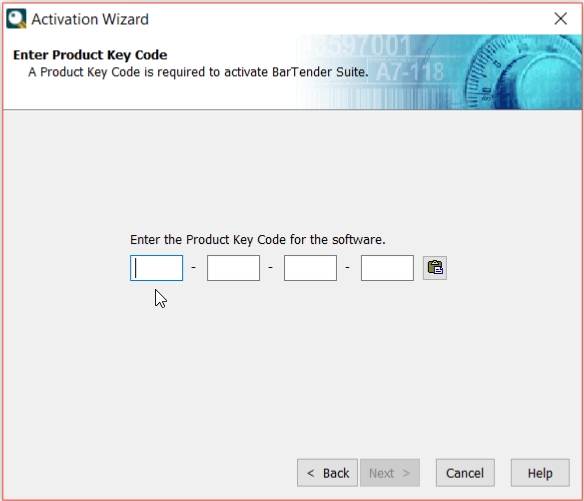 Select the Activate BarTender Suite (Product Key Code Required) radio button. Enter BarTender activation code issued to you by EBS. Activation confirmation screen appears. You can optionally setup email notification for license issues. For Enterprise Automation edition installs, BarTender will immediately search for the license server. 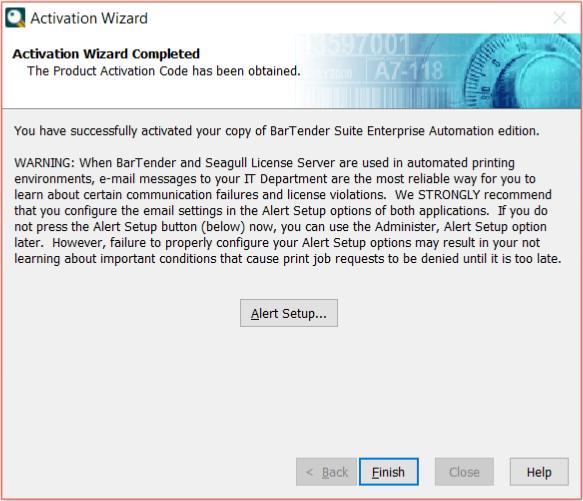 The activation process for Enterprise Automation cannot be completed unless the BarTender client workstation is able to connect to the Seagull License Server. If it fails to reach the Seagull License Server, an activation error message will appear. Check activation status by selecting the About option in the Help menu.